Last week, the Michigan Senate unanimously passed Senate Bill 992. The legislation allows a person that is authorized by the Federal Aviation Administration (FAA) to operate unmanned aerial systems (a.k.a. drones) for commercial purposes in a manner consistent with the authorization. The legislation also sets up a legislative drone taskforce to develop statewide policy recommendations on the use/operation of drones. SB 992 mandates that the taskforce must include a member recommended by the MAB to represent the broadcast industry. The bill leaves some flexibility for the local government entities to regulate how the drones may be operated within their own municipality; however, those regulations must be consistent with the Federal Aviation Administration. 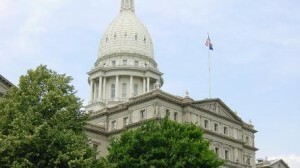 The MAB, along with the Michigan State Police, Michigan Telecommunication and Cable Association and Michigan Association of Realtors, supported this legislation. The MAB believes that this legislation is a balanced approach to regulating drone use. The bills recognize the growing economic and commercial use of the unmanned aerial vehicles across a wide variety of industries including, in our case, broadcasting. The legislation also balances the need for privacy and other considerations by prohibiting knowing and intentional harassment-type practices that interfere with the official duties of the first responders. The bill is now headed to the Michigan House of Representatives Committee on Communications and Technology.